The Squid Stories image of the day #4. Sometimes an image tells the entire story. This one does. Hundreds of tiny ice sculptures of faceless men figurines sit quietly together, next one another, on stairs all around the world. 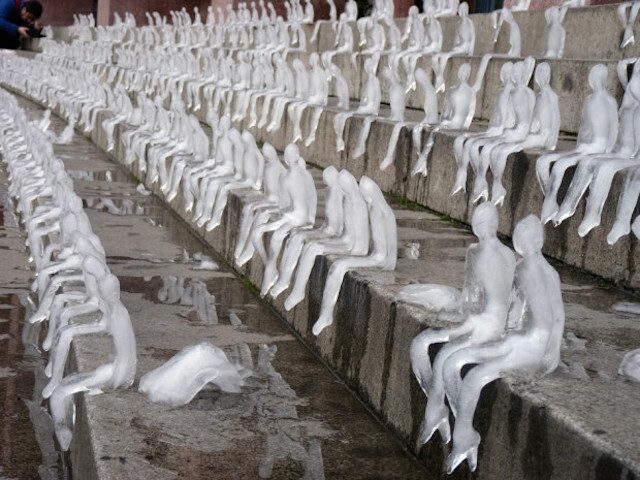 It’s the work of Brazilian street artist Nele Azevedo .